Another craft beer bar opening, probably not that exciting right? I mean we are pretty spoiled for choice now days with venues opening up all the time but Zero Fox stands out from the crowd for me. Located in the Wool Stores along the river in Teneriffe this small bar/restaurant is doing something different with it's food which is a big deal for me because I feel like we are nearing a saturation point when it comes to gourmet pub food and burger bars so it's refreshing to learn that Zero Fox offers Japanese food to go with your craft bevvies! 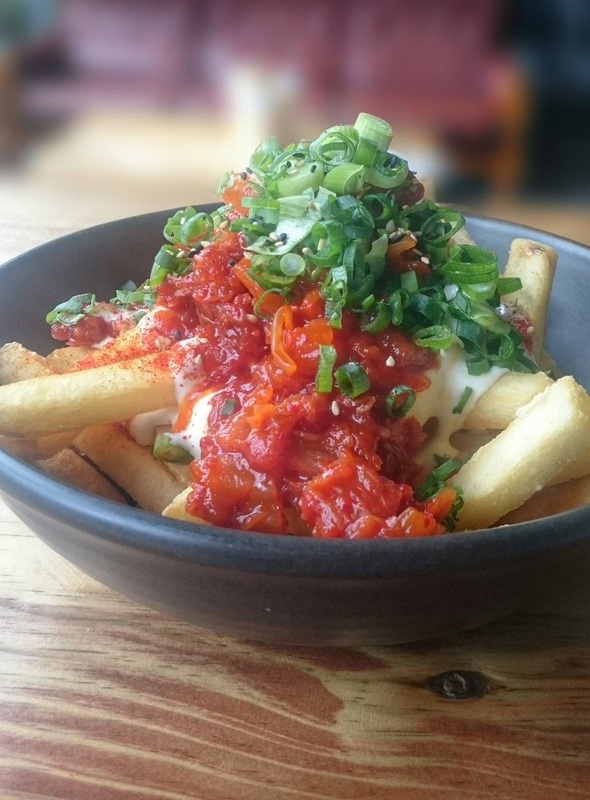 Fox's menu covers a broad range of food, most of which have a slight twist to them with bar standards like chicken wings or fries being jazzed up with kimchi and chilli sauce and Sushi offerings having weird sounding toppings like cheese sauce! 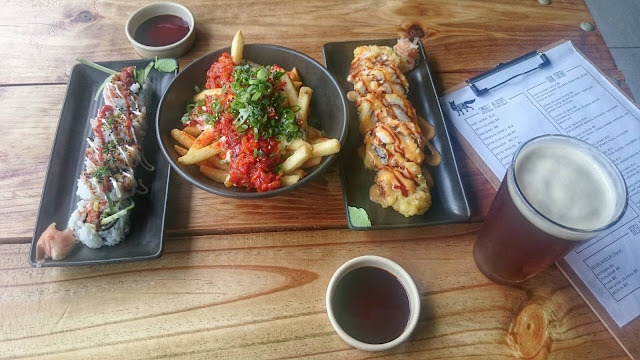 Most Australian's have had Sushi before as it's one of the most consumed foreign foods in this Country and something we've probably adopted as our own to some extent. Fox adds a twist to sushi by offering a range that stretches from butter chicken, to deep fried crispy chicken and cream cheese to softshell crap spider rolls. Lighter and more familiar options are offered as hoso rolls and nigiri as well some main sized bowls of chicken katsu, katsudon and udon. 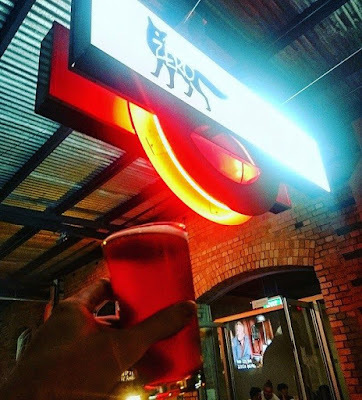 Beer has not been forgotten either with a solid rotating tap list consisting of some great Australian beers, from stouts to IPA's you are sure to find something enjoyable on tap here that will match what ever you choose from the extensive food menu! There is also a small range of spirits, wines and bottled beer and cider available if nothing on tap garners your intrigue. Overall this is a great little venue with some friendly staff, excellent tasty and well priced food in a very comfortable location so if you are into Japanese food and good Australian beer get down and try it! Kanpai!